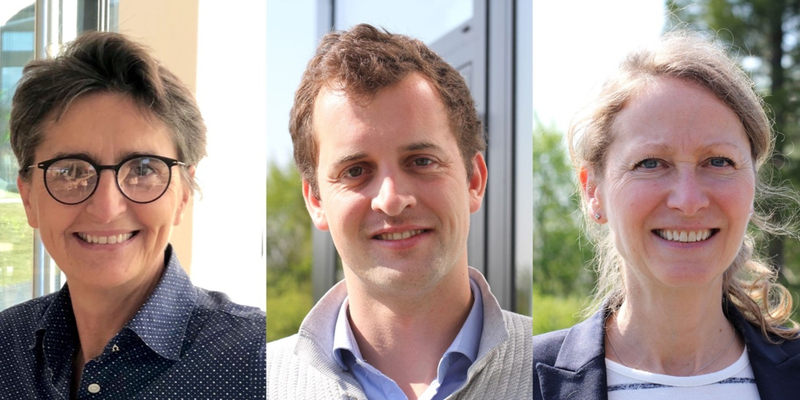 OpenIO is pleased to formalize the appointment of Marie-Laure Retureau in the role of VP Sales & Strategic Partnerships, the arrival of Philippe Vandermolen as Director of Finance and Administration and the recruitment of Stacie Desplanques, new Chief Marketing Officer. These arrivals bring the number of employees to 35 within the company, which is headquartered near Lille, on the Okto Campus. Marie-Laure Retureau has more than 19 years of experience in international sales of messaging security solutions. Before joining OpenIO in July 2018, Marie-Laure was VP Sales EMEA at Cloudmark/Proofpoint. Marie-Laure previously held several successful sales management positions at IBM, Telcordia and Lucent. Philippe Vandermolen, who worked at Décathlon as a financial controller, then at Connexance MD, came to OpenIO in January 2019. As DFA at OpenIO, he is in charge of structuring the growth of the company, from management control to legal and regulatory affairs, along with its fundraising projects. Stacie Desplanques has over 15 years of experience as a B2B marketer in the high-tech and digital media sectors. She has held management positions at international companies such as Anevia, Piksel, Irdeto and Philips. Franco-American, Stacie joined OpenIO at the beginning of April to reposition OpenIO in the market and solidify its value proposition. Hugo Bonnaffé, ex-OVH, accompanies her to manage communications in tandem with Ruben Volpin, communication design lead, based in Milan. “With the expansion of our management team, OpenIO is taking a new step in our development, four years after the company’s creation”, said Laurent Denel, Cofounder & CEO of OpenIO. Created in June 2015, OpenIO develops a hyper-scalable Object Storage software technology. Challenger in a market where big cloud operators and historical players of data storage are fighting a battle, OpenIO proposes an original alternative, which aims to hold all the promises of Object Storage. OpenIO’s software-defined storage technology, the heart of which is open source, offers infinite scalability without the need to rebalance data during platform expansion (an operation that usually results in a significant performance drop for days, weeks or even months on large scale platforms). What’s more, OpenIO SDS is a hardware-agnostic solution, capable of making the most out of heterogeneous hardware resources. It has already attracted more than 30 clients worldwide, which include among others, Dailymotion, SFR, the CEA, as well as the IIJ (Internet Initiative Japan) service provider. The startup appears in the selection of "13 cloud startups to follow closely" chosen in March 2019 by Alliancy magazine. OpenIO, which received initial support from Georges Lotigier (President and CEO of Vade Retro Technologies), raised 5 million dollars in October 2017 from Elaia Partners, Partech Ventures and Nord France Amorçage. Aside from its headquarters in Hem, within the Okto Campus that it shares with Vade Secure (leader of email security) and Scalair (Cloud provider and architect), the company also has a commercial office in Paris and a team in Tokyo. This May, OpenIO will make its next release (19.04) public, which consolidates the technical foundations of OpenIO SDS while improving the user experience.